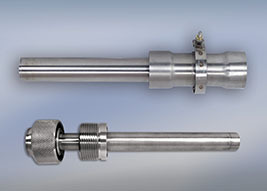 The safe and efficient piping of cryogenic liquids and gas can create unique challenges. Our products can be used in systems for cryogenic nitrogen, helium, argon, hydrogen and oxygen. 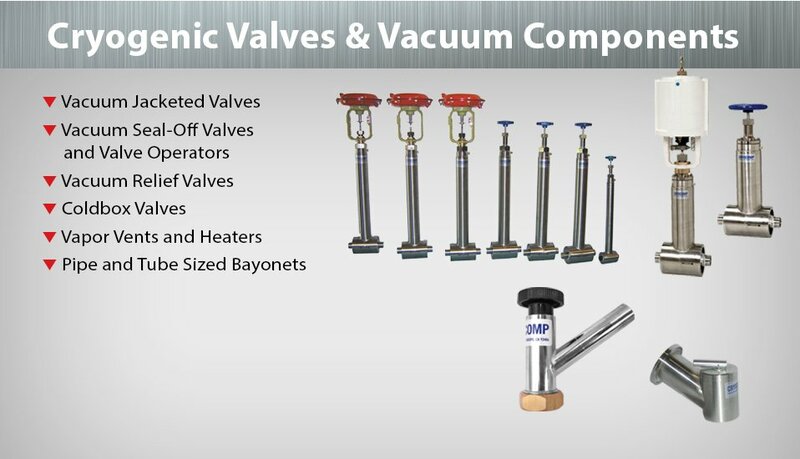 For over 25 years Cryocomp Valves has designed and manufactured the needed cryogenic valves, cryogenic vacuum valves, cryogenic bayonets and other accessories to accomplish this task. 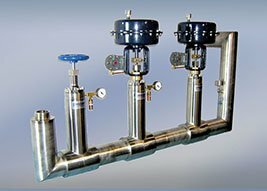 Cryocomp cryogenic valves are available from ½" to 2.0" diameters in manual and actuated, remote on/off and flow control configurations. 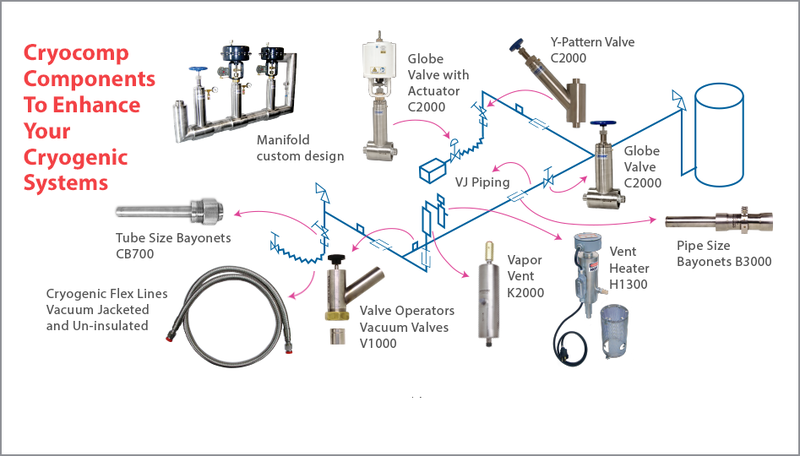 Cryocomp cryogenic valves are offered in Globe, Right Angle and Y-Pattern configurations which allow for installation of up to 30 degrees out of vertical orientation. 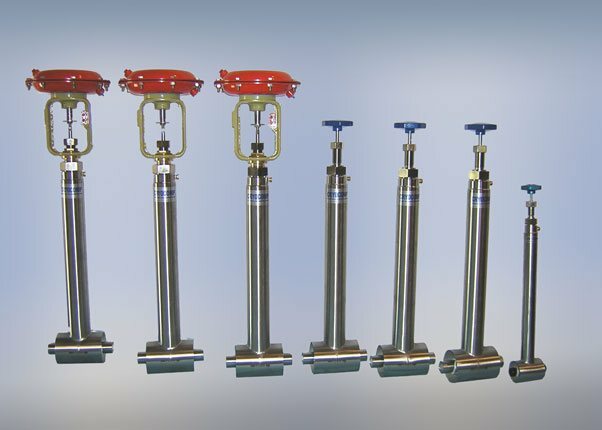 Our cryogenic valves have internal stem assemblies and stainless steel bodies that are interchangeable, thus simplifying any needed repairs, maintenance or upgrades in the field. 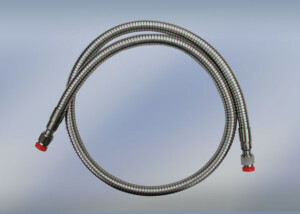 An integral component in the design of any cryogenic vacuum vessel or enclosure is the vacuum seal-off valve. These devices are sized according to the enclosure dimensions and available from ¼" to 3.0" diameters. 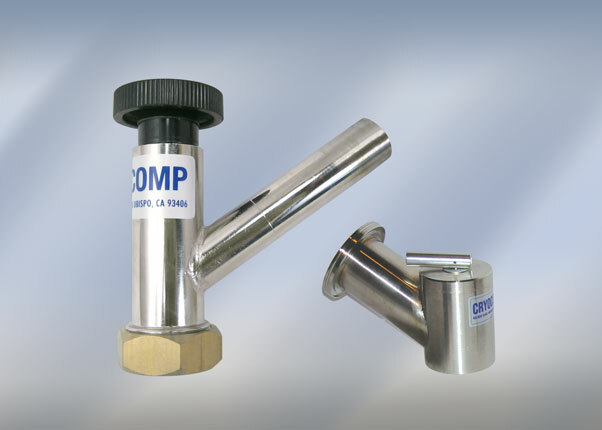 Cryocomp valves also supplies the needed seal-off valve operator tools for manipulation and positive sealing of the valves. To complete the Cryocomp equipment for control and safe operation of a VJ pipe systems and enclosures, we offer two devices, the model K2041/K2042 series Vacuum Insulated Vapor Vents and the model H1300/H1500 Vapor Vent Heaters to address vapor release from piping. Every application and every customer is important to the experienced Engineers and personnel at Cryocomp Valves and our Parent-company, Cryofab Inc. Please allow us the opportunity to work with you to develop the most efficient approaches to your cryogenic and vacuum systems challenges.